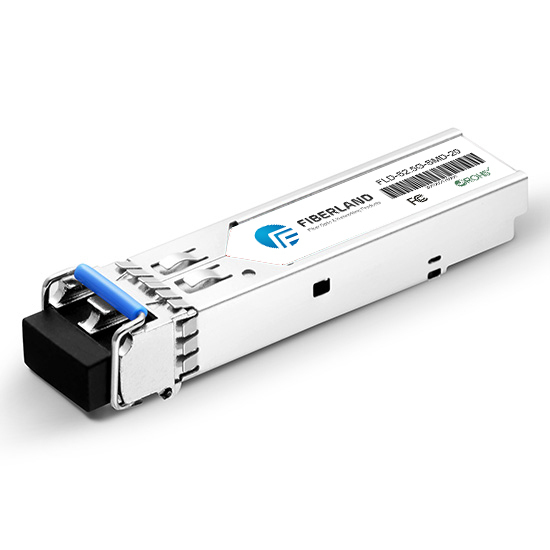 ﻿ 10GBASE-T SFP or 10G Fiber SFP, which one will you choose? Now big data become IT industry hot words, it gives 10 Gigabit transmission popularity to bring a strong driving force. For a data center switch port, both of 10GBASE-SR Fiber SFP and 10GBASE-T SFP+ can meet your need, but which one will you choose? “SR” in 10GBase-SR is an abbreviation for “short range”, which is used only for short distance connections. The specification supports 64B / 66B shortwave (wavelength 850nm) multimode fiber (MMF), the effective transmission distance of 2 meters to 300 meters. However, it is necessary to use a laser-optimized 50 μm line OM3 fiber to reach the maximum distance. 10GBASE-T is an Ethernet specification using a copper connection (Category 6 shielded or unshielded twisted pair) with an effective bandwidth of 10 Gbit / s and a maximum transmission distance of up to 100 meters. The IEEE standard corresponding to 10GBASE-T is 802.3an-2006. This can be regarded as a revolutionary advance in 10 Gigabit Ethernet because until then, it has been thought that it is impossible to achieve such a high transmission rate on a twisted pair, because the loss is too large to run at such a high operating frequency (at least 500MHz). But standard builders rely on the following 4 technical artifacts to make 10GBASE-T a reality: Loss elimination, analog to digital conversions, cable enhancements, and coding improvements. In coding, 10GBase-T is not the original 1000Base-T PAM-5, but the use of PAM-8 encoding, support 833Mbps, and 400MHz bandwidth, the cabling system bandwidth requirements are also modified to 500MHz, and if still The use of PAM-5’s 10GBase-T requires a routing bandwidth of 625MHz. On the connector side, the 10GBase-T uses a 650 MHz version of the RJ-45 connector that has been widely used in Ethernet. The longest effective transmission distance on Category 6 is 55 meters and can reach 100 meters on Category 6a. 10GBASE-SR Fiber SFP+ VS 10GBASE-T SFP+, which one should you choose? The 10GBase-T system is the first choice for the 10G network system. 10GBASE-SR fiber with the similar cabling system construction process complexity (cost) approach like 10GBASE-T, but 10GBase-SR fiber system (including fiber switch, optical transceiver, fiber-optic network card) will cost about 3 times or more than 10GBASE-T system. The comprehensive point of view, 10 Gigabit copper with cheap, good compatibility, easy construction and so on. At the same time, Base-T usually runs up to 100 meters twisted pair, such as the use of Category 6A and 7 cables. 10GBase-T technology supports backward compatibility and is automatically negotiated between higher and lower rates, eliminating the need for a one-time upgrade to the network. For the transmission distance, optical fiber transmission due to anti-interference ability is undoubted to achieve the park million network backbone of the ideal solution. In other words, more 10G optical fiber network is used for vertical systems, such as a unit of various branches, or the school has each dormitory is connected to the network center, the distance is likely to be more than 100 meters or even 1-2 kilometers. But in a data center or unit of the horizontal range, the radius of 100 meters range, 10G Base-T has more advantages. Therefore, we can’t simply say the fiber 10G and 10G Base-T who is faster who slower or who replace the another, the difference is that the data transmission distance and anti-jamming performance, different application scenarios determine their value. 1000BASE-T: 1000BASE-T uses a unshielded twisted pair as the transmission medium to transmit the longest distance is 100 meters. 1000BASE-T does not support 8B / 10B encoding, but the use of more complex coding. 1000BASE-T has the advantage of the user can be 100BASE-T on the basis of a smooth upgrade to 1000BASE-T.
25GBase-T: 25G Ethernet is also based on copper cable transmission, and also with Cat. 8 class copper cable twisted pair is medium. 5GBase-T: 5 Gbit/s up to at least 100 m of Cat 6. 2.5GBase-T: 2.5 Gbit/s up to at least 100 m of Cat 5e. 40GBase-T: use bandwidth spectrum from 1 MHz to approximately 1,600 MHz., maximum length of cabling will be limited to around 30 meters over Category 8.